Scientists and experts from all over the world will be in Greece from 8 to 12 April 2019, in order to participate in the 5th International Conference on Marine Mammal Protected Areas and discuss the future of our seas. The International Conference on Marine Mammal Protected Areas, which is held every two years, will be hosted for the first time in Greece, and specifically in Messinia, from 8 to 12 April 2019. This is the largest international conference on this topic, and this year it is co-hosted by WWF Greece and the International Committee on Marine Mammal Protected Areas. More than 200 scientists, experts, private sector representatives, representatives of governmental agencies and non-governmental organizations, from approximately 40 countries, will share knowledge and experience on the subject of marine mammal conservation. At the same time, they will contribute to planning practical methods for the optimal establishment, monitoring and management of Marine Protected Areas (MPA) worldwide. The fact that the Conference will be hosted for the first time in the Mediterranean, and specifically in Greece, is of particular importance, as it makes our country the main focus of the international community tasked with protecting marine biodiversity. It is noteworthy that the Greek seas and the entire Mediterranean Sea are home to some of the rarest marine species in the world, although many of them are endangered. Humans pose their greatest threat, with the list of human activities that exert pressure on the marine environment growing constantly. Today, the threat of oil and gas drilling is at the top of the list. The Conference will focus on the challenges posed by hydrocarbon exploration and drilling, with one of the most important sessions revolving around the need to prevent environmentally harmful practices, such as seismic surveys to locate deposits, in areas of high importance for marine mammals. Special emphasis will be given in the case of the Hellenic Trench, which arches from the northern Ionian Sea to the island of Rhodes. The Hellenic Trench, although it is home to several globally rare species covered by a protection scheme (e.g. 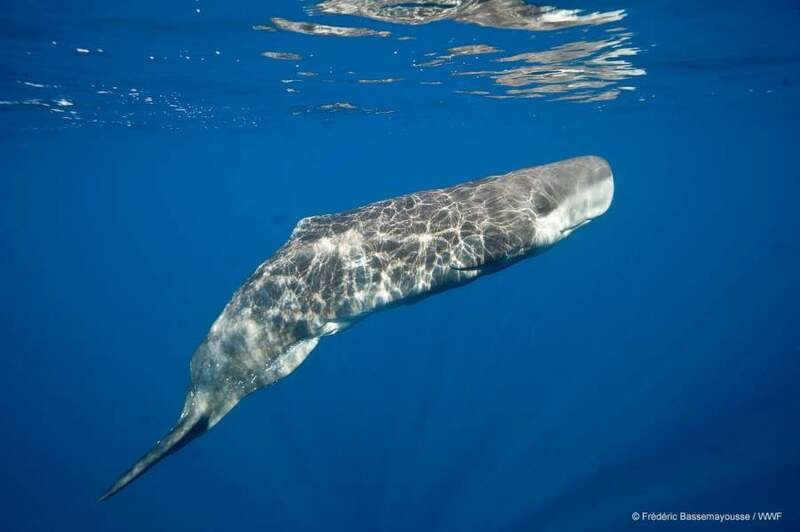 Mediterranean monk seals, fin whales, sperm whales, dolphins), is included in the marine area of a total of 60,000 km2, which has been conceded to multinational oil companies for oil and gas exploration and drilling. “This global Conference represents an unprecedented opportunity to give prominence to the Greek seas, an unknown paradise for marine mammals, as a hotspot in the eastern Mediterranean basin. This is especially important considering the enormous challenges and threats faced by the species in the wider region. Our goal is for the Conference's outcomes to mark the beginning of a new era for the preservation of marine biodiversity in the Mediterranean, together with the development of sustainable human activities”, said Amalia Alberini, Project manager of ICMMPA5 and Marine Associate of WWF Greece. The Conference program consists of 25 meetings, discussion panels, workshops, speeches and round tables. Aside from the issue of threats posed by oil extraction to marine mammals, key issues for discussion will also include the need to mitigate cetacean/ship interactions in the Mediterranean, the efforts to resolve conflicts in coastal protected areas (e.g. interactions between marine mammals and small-scale fisheries), as well as the capabilities offered by new technologies for monitoring the status of areas that are important habitats to marine mammals. The Conference’s events will be attended by some of the most recognized and respected experts in the marine mammal management in the world, representing international organizations along with the global WWF network, but also by high-placed representatives of official bodies that are providing practical support to the marine environment protection efforts. Moreover, for the first time, the Conference will be actively joined by representatives of the new generation of Greek and foreign scientists, who will have the unique opportunity to draw on precious knowledge from their more experienced colleagues. “We are very happy to have the 5th International Conference hosted in Greece. After 10 years of work focused on different oceans of the planet, the global community tasked with protecting marine mammals will gather in the Mediterranean, to examine the big challenges of protecting one of the most heavily human-impacted seas, which is still home, however, to a considerable variety of significant marine mammal populations”, said Naomi McIntosh, Chair of the International Committee on Marine Mammal Protected Areas.